This document describes the functionality of the My Courses MyUW portlet and provides basic access and troubleshooting information. 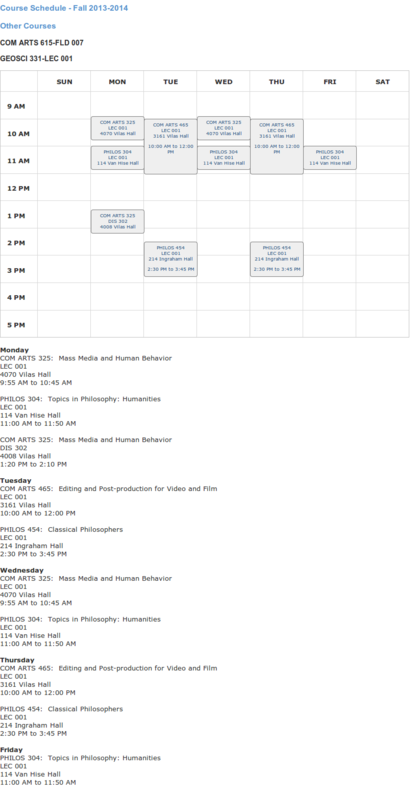 My Courses is a MyUW application that allows students and former students to view detailed course information. 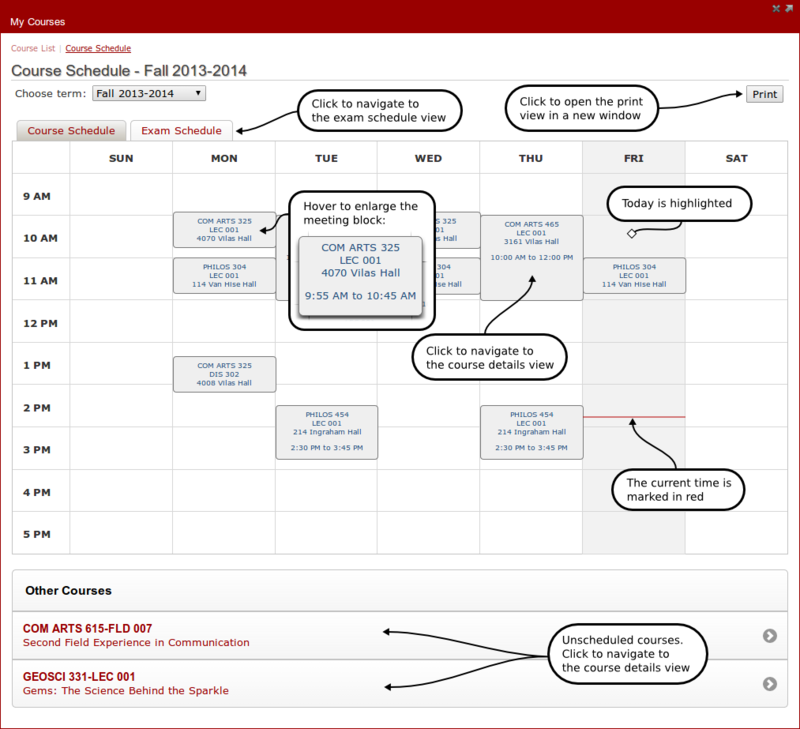 Available information includes: course listing by term, printable course schedule, course meeting, course location, course resources. If the application is not automatically listed by default, go to the search bar at the top of MyUW. 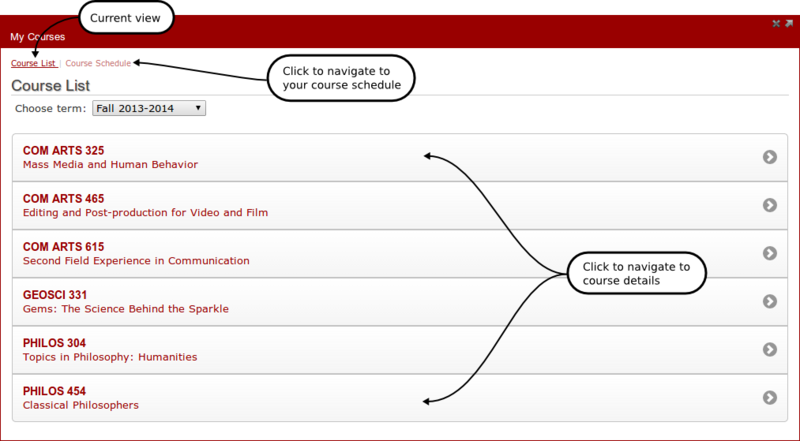 Search for "My Courses" and click on the green launch button for the application. 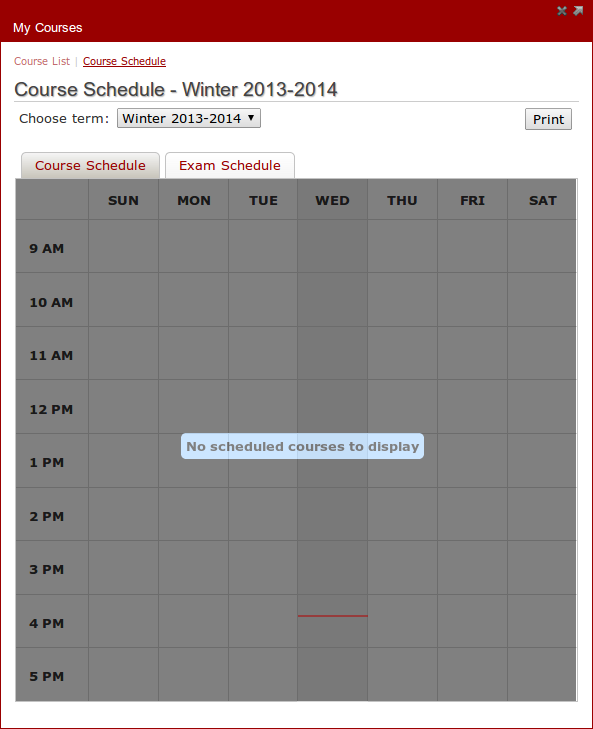 Upon clicking the "Print" button, the print view of the exam schedule is opened in a new window. 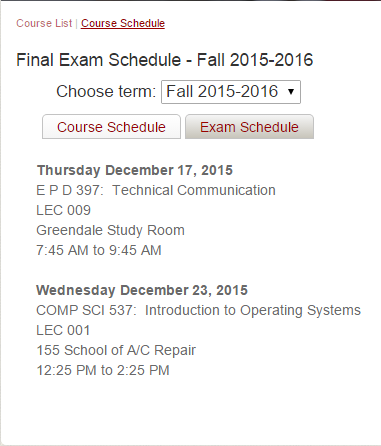 Note that some course resources may require Java or other third party plugins and may not work on mobile devices. The resources are links provided by instructors. They may link to anything they want without regard for compatibility. If you are not registered for courses for the selected term, you will receive: If you are enrolled in courses and they are not showing for the selected term, you may need to select a different term. You can also contact the DoIT Help Desk at 264-HELP (4357). If you are receiving these messages in error, please contact the DoIT Help Desk at 264-HELP (4357).